Whoa! 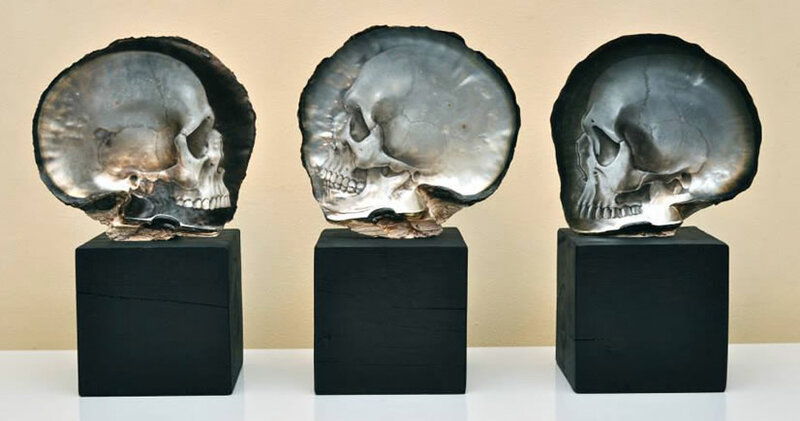 Artist, Gregory Halili sculpts incredibly detailed skulls on mother of pearl shells that have been found in the Philippines. Each skull is carved completely by hand onto 10" to 12" raw, gold-lip and black-lip shells and painted with oil pigment. Behold the amazing work below! To see more, visit the artist's Facebook page and YouTube channel [ via freeyork.org / boingboing ] >> Never miss an awesome post! Enter your email below to subscribe to Riot Daily.